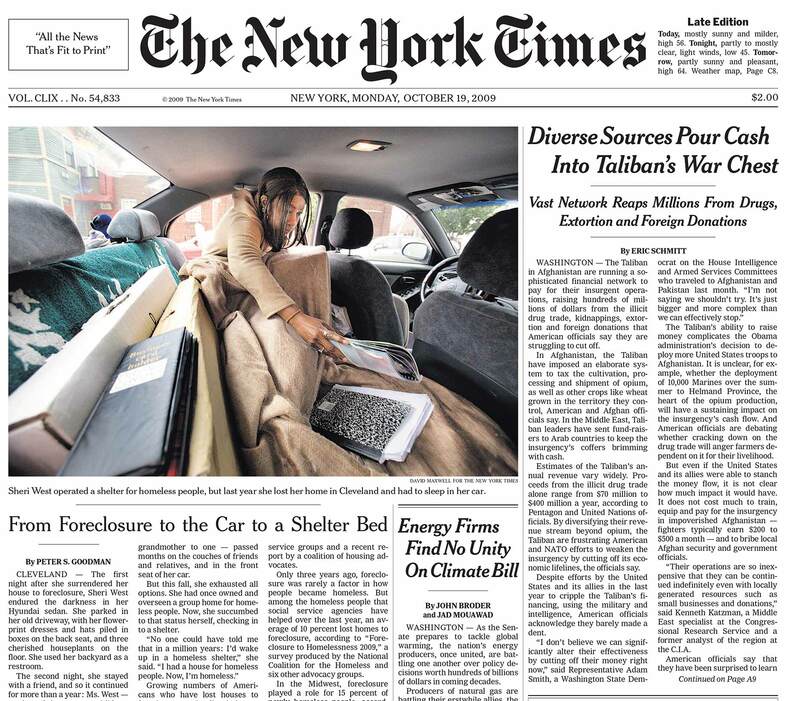 A New York Times front page story that featured Sheri West, who lost her house due to foreclosure. She moved into her car and eventually ended up in a homeless shelter, one of a growing number of Americans who were landing in homeless shelters. “No one could have told me that in a million years: I’d wake up in a homeless shelter."